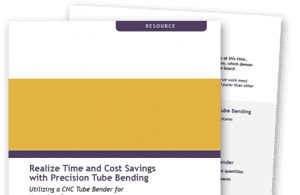 Precision tube bending is a unique process that takes a skilled mechanical mindset and proven processes in order to perform correctly – and consistently. 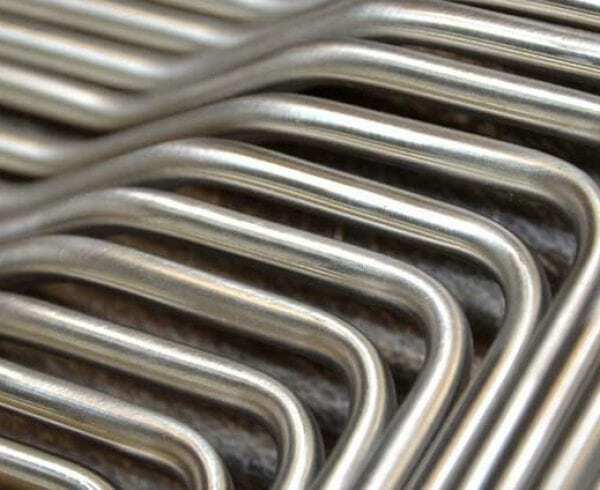 While there are numerous companies that list tube bending within their overall capabilities, few have been able to perfect the art of precision tube bending. 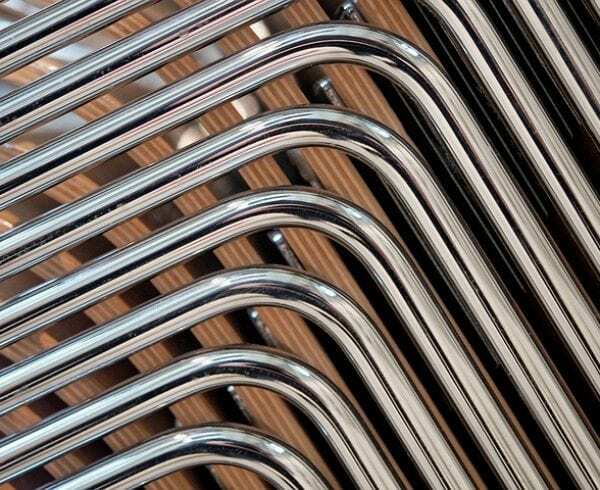 To understand the skill required for this type of tube bending, you must first have an understanding of what the end result should look like. Precision tube bending is the process of creating tubes that are bent without any inside or outside diameter imperfections: no wrinkling; and minimal wall thinning and flattening. Wrinkling is an unsightly feature that can occur on the outside diameter, inside of the bend radius. Wrinkling is a condition that most industries will not tolerate, especially the aerospace, semiconductor and medical industries. While every aspect of the process requires attention to detail, the most difficult of these requirements is to prevent wrinkling in a bend. 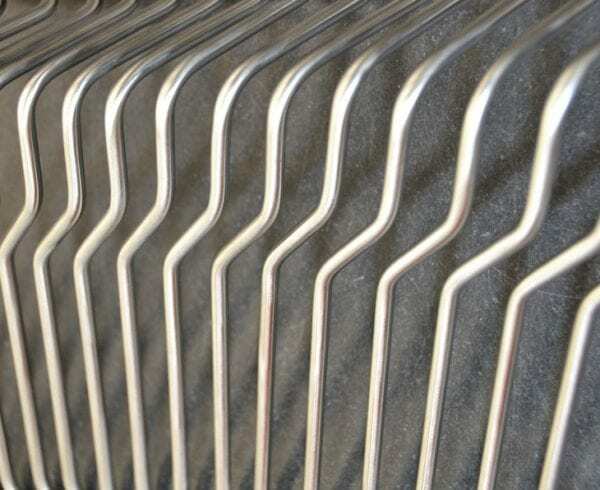 The art of cold bending without wrinkles involves a combination of many factors, including exact insertion depth of the mandrel; proper clamp die and backing block pressure; and draw speed. Another key factor that results in no wrinkles is the use of the right type and viscosity of bending/drawing oil. Successful precision tube bending also requires that there be no clamp or backing block marks on the tubing. The tube needs to be held tight as it is being pulled around the radius block during the process. There is a fine line between holding it secure enough to make sure it doesn’t slip, and holding it too tight, putting clamp marks in the outside diameter of the tube. 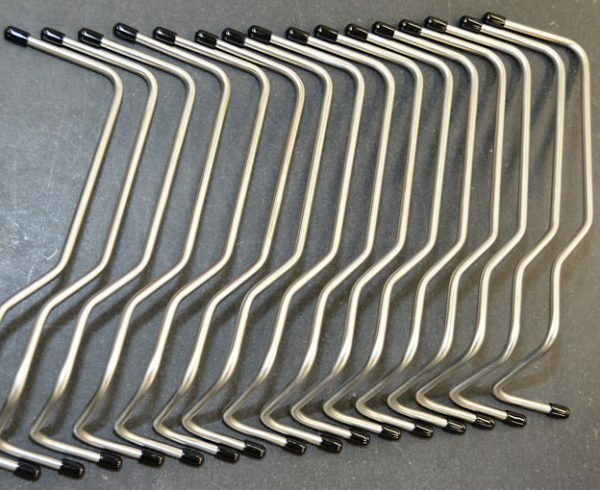 Since the semiconductor industry does not allow any oils to be used in the bending process, welded tees and elbows are used to compensate for tight-radius tube bending in this industry. This procedure is followed because, in most cases, the inside diameter of tubing for the semiconductor sector is electro-polished. 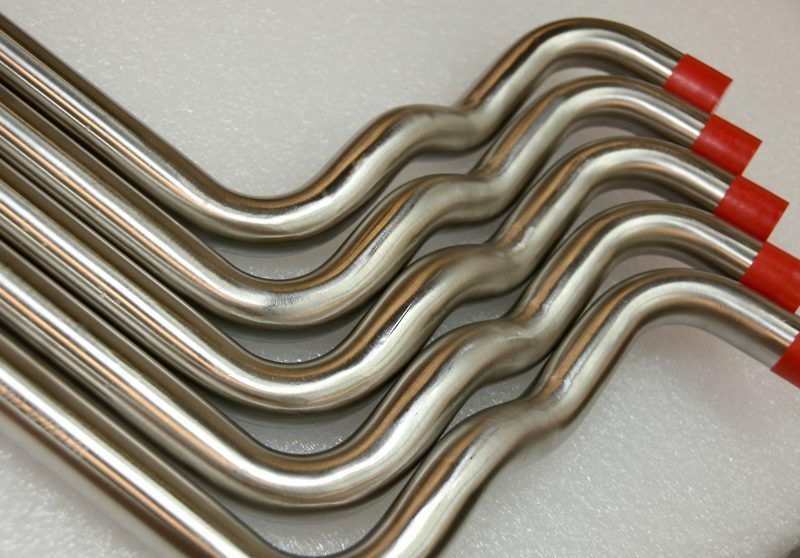 Electro-polishing is required in semiconductor tubing, as these tubes usually carry high-purity gas within them. Hence, the chance of any material flaking off and contaminating the chip-making process would be disastrous. The aerospace sector on the other hand, relies heavily on bending/drawing oil in the tube bending process. The oils are needed in order to obtain tight radii during the bending process without deforming the tubes. Because tubes used in this industry are introduced to greater stresses due to the role they play in the aerospace environment, they are much more susceptible to leaks and cracking. The use of welded elbows and tees is therefore a less accepted practice in aerospace, because the industry strives to have fewer points per tube assembly. Wall thinning and flattening is another issue that comes into play when performing precision tube bending. The tighter the bend radius, the greater the chances of wall thinning and flattening are, so attention to detail is critical. Most industries will only tolerate 10 percent or less of wall thinning and flattening in precision tube bending. When bending tubes, you are essentially stretching/thinning the outer diameter of the bend, while at the same time compressing/thickening the inner diameter of the bend. When the material on the inner diameter of the bend starts to thicken, it will have a greater tendency to form wrinkles. Therefore, wall thinning and wrinkling often go hand in hand. The art of precision tube bending is controlling either from happening during the process. The art of precision tube bending success is a combination of expert knowledge of the material being bent, skilled expertise, and using the proper equipment during the process. Each of these factors must be aligned in perfect harmony in order to achieve the consistent quality most high-tech industries require for defect-free, bent tubular assemblies. 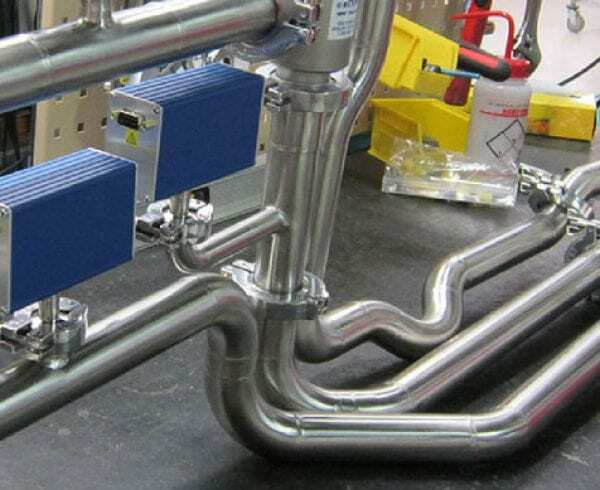 Learn more about the proven benefits of precision tube bending. I’ve always wondered how they get bendy pieces of metal. It makes sense that they would just bend them. It’s interesting that it’s such a precise act, though. It makes sense that it would require skill!